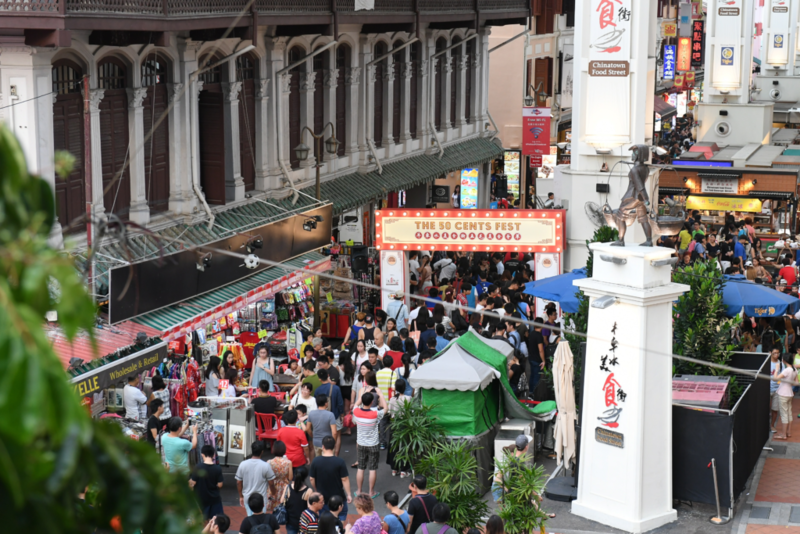 The 50 Cents Fest event at Chinatown Food Street is back for the second year running! 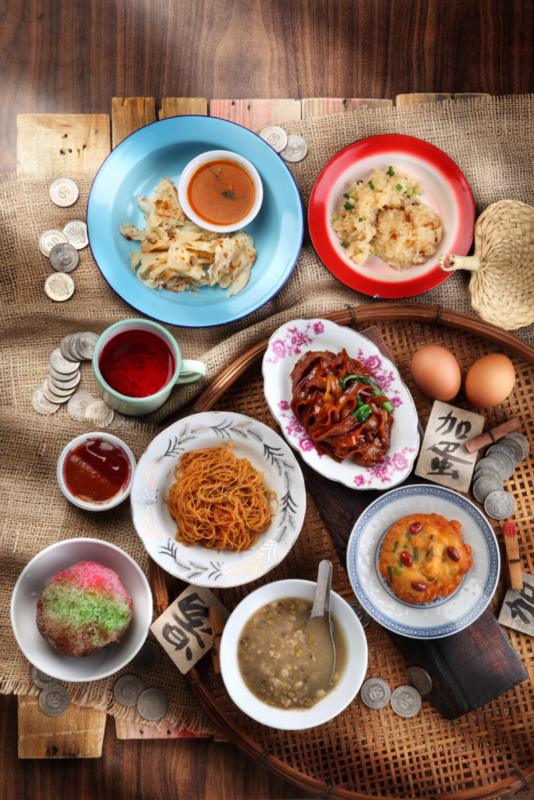 Expect to enjoy a wider and even more exciting selection of delicious hawker fare in a nostalgic 80s setting. This year, get ready to be spoilt for choice with a whopping total of 41 items available at the festival. And yes, same as the year before – dishes start from as low as 50 cents! 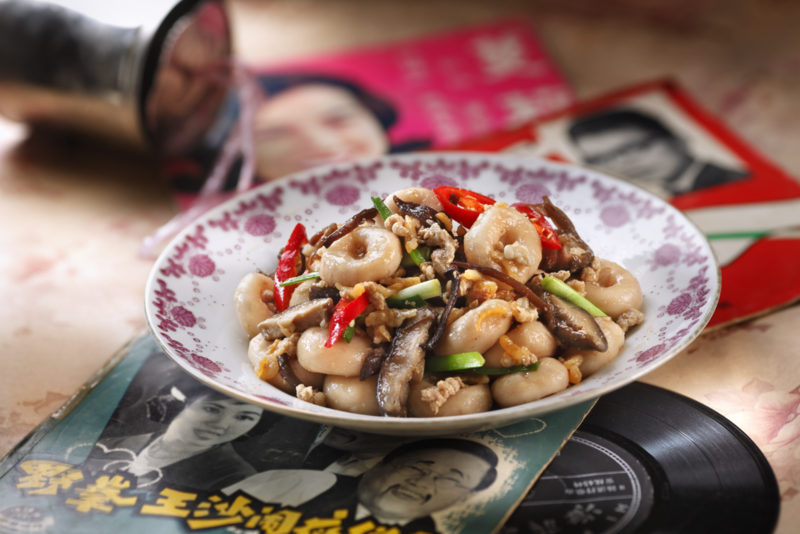 We will start with old favourites like UFO (Fried Oyster Cake) and Rickshaw Noodles. Then, we will check out what’s new this year, the Salted Egg Yolk Crab and Ma La Baby Lobster, going at $2 per portion! So cheap, if you don’t get, you lugi. We will wash the meal down with a Michael Jackson (Soya Bean Drink with Grass Jelly). Thereafter, we will indulge in some Ah Balling tang yuan dessert and Abacus Seeds, ending our meal with a bang. Or maybe we will rejoin the queues however snaking they may be for a second round of food. At only 50 cents per portion, why not? To form your own game plan, you can look to the full list of items on this year’s menu here. Turn up in a 1980s style outfit, or get spotted taking pictures with any roving 80s drama character, and stand a chance to win attractive prizes. When your belly is well satiated, be sure to partake in the many fringe activities on offer. Sure to evoke a sense of familiarity for the older generations and bring joy to the younger ones are the classic 80s games and pastimes to be found along the winding street. Bring tissues, both wet and dry versions. You’ll need them for chope-ing, as well as wiping your hands after lapping up those sauces. Dress appropriately – Singapore’s humidity and a densely packed crowd of people is a surefire way to get those sweat glands working. Only cash is accepted. Prepare many 50 cent coins – duh, you might think, but you’d be surprised at how many people forget that having 50 cent coins on hand can make transactions smoother. Be a good Singaporean and don’t hold up the snaking queue by presenting big notes and having the hawker to dig up change for you. The queues for each stall are longer than your grandmother’s stories. Bring along some friends, so you and your pals can get a wide array of food time-efficiently. Thomas K. has an elaboration of how this strategy works in his vlog here, around the 7:09 mark. It takes around 20 minutes for you to register that your stomach is full. Long queue times mean a slower pace of eating at the festival. Smaller portions of food will lower your chances of over-eating at the festival. At the same time, being able to consume a wide variety of foods may give you even more satisfaction. Interactive game stalls can be found aplenty. Participate actively! Catch this one-time opportunity to experience the good old days. See you there! With a cupcake in one hand, Rachel will ask whether the cup of tea you're proffering her has sugar in it. She tries to be healthy, but this is a world with carbs and chocolate galore, y'know? Ah, as they say...everything in moderation.